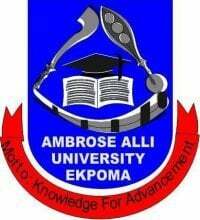 This is to inform all the candidates admitted into the Ambrose Alli University (AAU) foundation programme for the 2013/2014 academic session that they are all required to follow the procedures below to do their course registration. Click on the Level you are registering. Click on the Add/Remove courses. Click on Add course Ticket button to add courses (or Remove selected button to remove selected courses which you might have added in error). Select the course you intend to add and click on the Add Course Ticket. Repeat (6) above until you have registered all your courses for the session.